On October 22nd, 2016, the ever-mononymous Gryffin took the stage at 8 PM in Shady Park. Outside of the club/bar, the air was thick with the normal smoke that Tempe, AZ usually provides. Being right near Arizona State University campus, I knew I was in for a good time. Locally, Shady Park has become sort of a “special” venue for artists of a certain level of fame to play a more intimate environment. Although the night started out slow, Gryffin’s Whole Heart Live Tour drew the crowd into what was a very unique stage set-up. 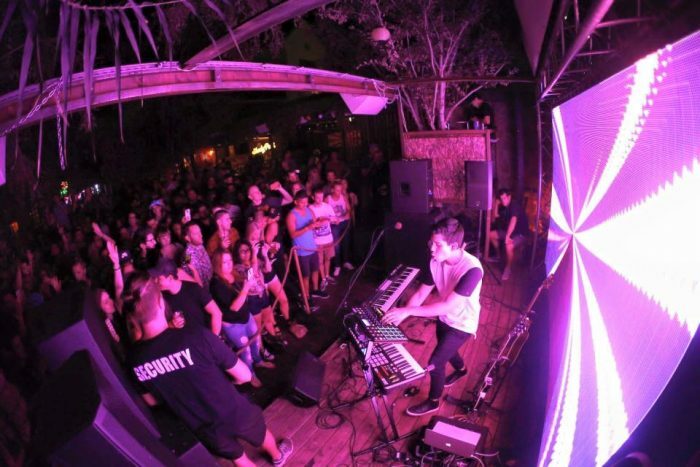 While we all know many of our DJ friends are very musically talented that transcends the normal analog instrument, Gryffin brought along an entire stage set-up dedicated to his own instrumentation. Keyboard pianos, switchboards, as well as a drum pad put Gryffin entirely at home with only a few people in the room, but acting like he was playing for an entire arena. As you can see from the post-show photos, he quickly lit up the dance floor throughout the night with not only feline-like visuals that could have taken your mind to some realm of outer space, but also showcasing a variety of genre diversity as well. 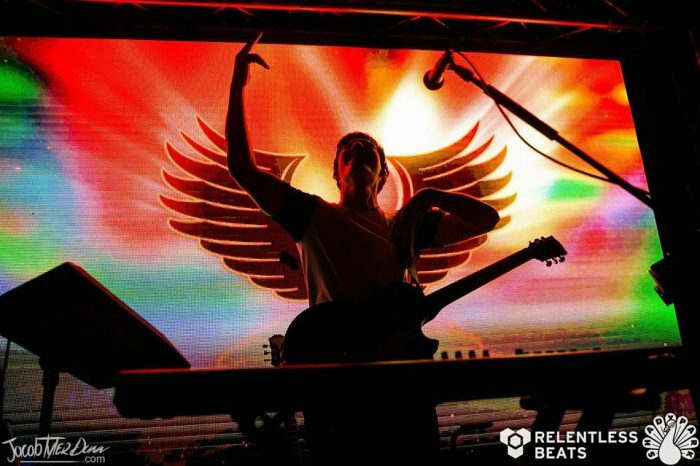 While all DJs create mixes on the fly, Gryffin showed his mastery by including plenty of piano riffs as well as new beats to cleverly mix in another track. Although a clean mix and acoustics are indeed impressive in any performance or genre, Gryffin took this show to the next level by staying in the zone, and keeping the good vibes rolling all night long. 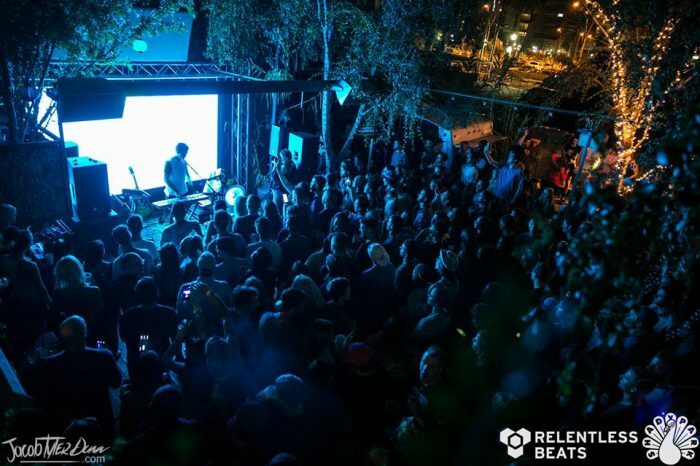 For those who attended, it wasn’t simply just a treat of house, but also snuck different dubstep and techno elements into the mix with no problem at all. The intimacy of Shady Park made all the difference as well; familiar faces and unfamiliar alike almost felt like family in the small bar environment. Gryffin is not only a professional who would probably die for his work, but also an artist who takes his knowledge of music composition seriously. His music is not necessarily polar, but his audience proved to be one of diversity; old-school and new-school patrons alike partied along. Maybe for one night, even just one, Gryffin used his old-school/new-school approach to instrumentation to bring us all together once again for the sake of the party.